Yale University Press, 9780300030976, 250pp. The art of international negotiation can be learned, according to William Zartman and Maureen Berman. Their purpose in this book is to teach aspiring diplomas and others how to negotiate most effectively. 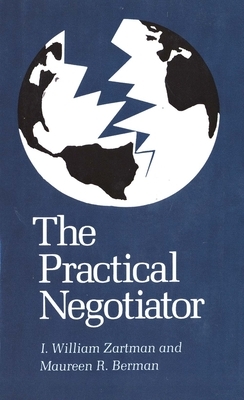 Drawing on a wide range of sources—historical material from past negotiations, interviews with experienced negotiators, the theories and ideas of other students of the problem, and findings on bargaining behavior from experiments and stimulations—they introduce their own scheme of organization to clarify the nature of negotiation. They portray negotiation as a three-stage process involving prenegotiation, developing a formula, and working out details, and they provide insights into the appropriate behaviors for each phase. Their examples from several dozen postwar negotiations, based on the reflections of seventy participants interviewed for this study, are particularly vivid and illuminating. Viewing negotiation as a paradoxical process in which both conflict and cooperation are required, Zartman and Berman present a more positive and constructive model than previous studies have done. Their major prescription—that negotiators try to find agreement on a formula before turning to matters of detail—clearly facilitates the framing of joint decisions among opposing parties.